The US will be transferring an additional two F-35 fifth-generation jets to the Luke Air Force Base soon, where they will be handed over to Turkish pilots and technicians who will learn to fly and maintain the aircraft, spokesman for the F-35 programme Joe DellaVedova told Anadolu Agency. According to him, Turkey's participation in the F-35 programme is continuing as planed "until otherwise directed". DellaVedova noted that the two F-35s meant for Turkey are already at the Luke Air Force Base and are scheduled to be transferred to the country in November, the news agency reported. The spokesman declined to reveal the specific date, but according to the schedule, the new aircraft are meant to be delivered to the destined state within a year or two after the end of the training programmes. The fate of the 100 F-35s that Turkey has ordered from Lockheed Martin remains in question, as the US Congress is considering blocking the deliveries. US lawmakers fear that the Russian S-400 air defence systems that Turkey bought in 2017 may reveal the F-35's weaknesses and transfer the data to Moscow. Their concerns were recently supported by several top Pentagon officials, who have advised against transferring F-35s to Turkey unless it drops its S-400 deal with Russia. Turkey has repeatedly refused to do so, reaffirming its determination to acquire both F-35s and S-400s. Ankara has also claimed that it was forced to buy Russian systems, as Washington had refused to sell its Patriot missiles to it. Amid the ongoing spat over the S-400 purchase by Turkey, the Department of State permitted the sale of Patriot systems to Ankara, but the latter hasn't changed its position. 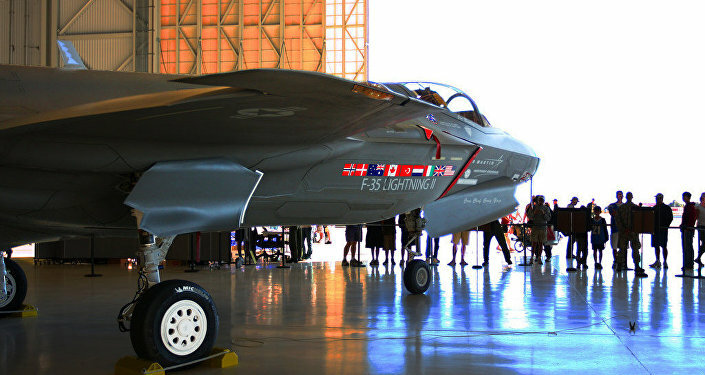 The situation is further complicated for Washington as Turkey produces some of the parts used in the assembly of F-35s. In addition to this, Turkey points out that it has already transferred the money for the first batch of jets.